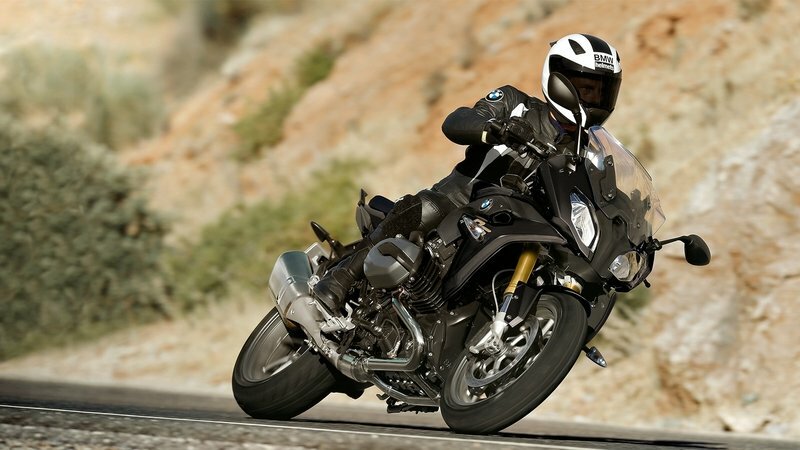 BMW launched its newest sport-tour model, the R 1200 RS in 2015, and the model is a carryover into the 2018 model year with some upgraded goodies last year and this year. Beemer combined the top-shelf Automatic Stability Control, optional Electronic Suspension Adjustment, Dynamic Traction Control and variable power-delivery modes with a rather sporty platform, both in form and performance. The 1,170 cc, twin-cylinder boxer engine delivers power numbers that would embarrass many pure sport bikes and drives the RS into the realm of high-speed, long-distance riders. 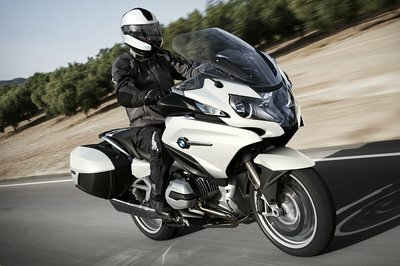 Continue reading for my review f the BMW R 1200 RS. The bike isn't as stodgy as one might imagine and it carries itself with a bit of grace while stopping well short of any gratuitous flash and flair. 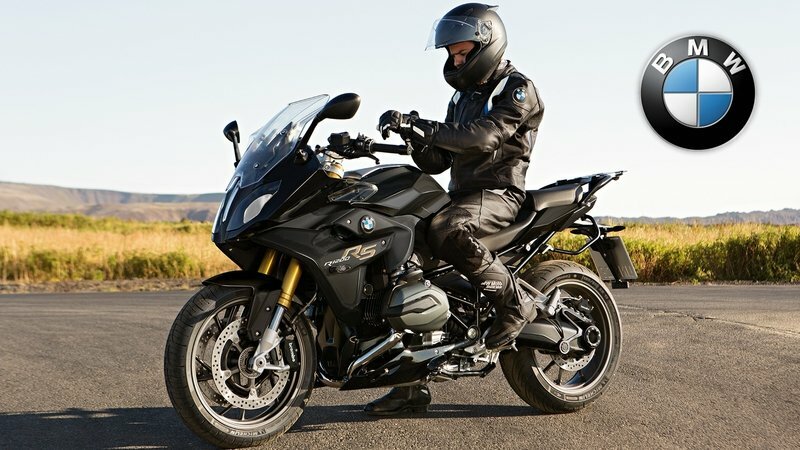 Beemer’s RS series has always been about touring comfort since the original brought its fixed fiberglass fairing to the market back in 1976 with the R100 RS, and this newest incarnation toes the family line with tour-tastic features that should take the edge off the longer jaunts. I gotta’ say, the sport aspect of the design is certainly more apparent than the tour aspect, at least at a glance. The sporty front fairing mounts something more like a proper windshield than the usual speedscreen/flyscreen we see on straight-up sportbikes, but beyond that, the looks are fairly sport-typical with upper lines that tumble down the fuel tank to the deep-scoop seat before hopping up to the tapered tail. All very streetbike-ish, and I have to gig Beemer for the lack of stock baggage. Yeah, I know “touring” means different things to different people, but for most Americans the word carries the expectation of some sort of cargo capacity. Granted, a traipse through the accessories catalog is enough to cover any shortfall in the equipment department, but to me anything with “tour” anywhere in the name or category should come with stock bags. Beyond that, the rider triangle allows for an upright and relaxed riding position with room to lean forward into a sportier stance. Overall, the bike isn’t as stodgy as one might imagine, and it carries itself with a bit of grace while stopping well short of any gratuitous flash and flair. One thing is for certain, the 32.2-inch seat height is going to be a trifle tall for shorter riders. The steering geometry is set up for relatively stable, straight-line travel, even at high speed, without sacrificing too much in the corners. Beemer uses a bridge-type frame made of tubular steel members as the foundation with a stressed-engine arrangement that uses the mill to replace part of the frame structure. This lightens the frame and lowers the engine mass to keep center of gravity close to the ground. The single-side swingarm pulls double duty as a housing for the drive shaft, which is an arrangement that keeps the rear end of the running gear nice and clean, if not simple. Built for precision handling and braking rigidity, the frame shows its superbike roots. Steering head angle is set at 62.3- degrees according to the factory, but Americans will call it 27.7-degrees because reasons with 4.5-inches of trail. No matter what you call it, the steering is set up for relatively stable, straight-line travel, even at high speed, without sacrificing too much in the corners. Now for the top-shelf suspension. A pair of 45 mm forks buoy the front end, and run in the usd configuration that has great torsional resistance and lateral stiffness for a rock-solid front end. The swingarm works with a WAD strut that comes with a handwheel preload adjuster and adjustable rebound damping, and components at both ends give up 5.5-inches of suspension travel at the axle. Honestly, the non-adjustable front end is a bit surprising; somehow I expected Beemer to at least throw on some adjustable parameters, even on the stock model. At least the factory offers the option of upgrading to the Dynamic Electronic Suspension Adjustment (ESA) that comes with two separate damping presets that reads the conditions and electrically adjusts the suspension accordingly. Sort of a set-it-and-forget-it system that totally precludes the need for tools or handwheels. Dual, 320 mm front brake discs work with four-pot, opposed-piston calipers to slow the front wheel, and a single, 276 mm disc and twin-pot caliper binds the rear. BMW’s own Integral ABS provides over-brake protection, and can be turned off if you want the feel of standard brakes or maybe just want to do some burnouts. A variety of alphabet-soup tech systems are available, such as ASC, corner-optimized ABS, DTC, and Rider Modes. 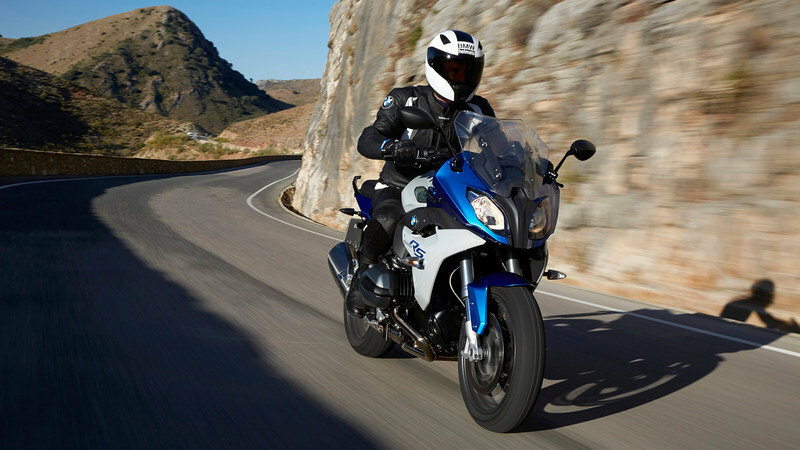 The driving force behind the R 1200 RS comes from the flat-twin “boxer” engine that is so typical of the brand. Dual over-head cams actuate the four-valve heads, and the engine dumps waste heat through a combination of air- and liquid-cooling. 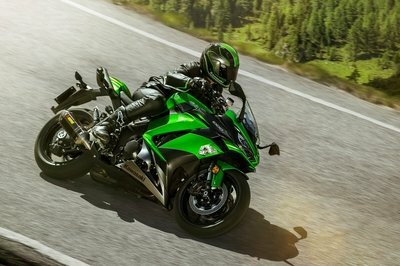 Massively oversquare, the 101 mm bore and 73 mm stroke add up to 1,170 cc total displacement, and the power figures are about what one would expect; 125 horsepower at 7,750 rpm and 92 pound-feet of torque at 6,500 rpm. A ride-by-wire system manages the electronic fuel injection and enables the use of a number of features. On the stock model, the ABS wheel-speed sensors feed data to the Automatic Stability Control that functions like traction control in that it modulates engine output as needed to preserve the contact patch integrity. 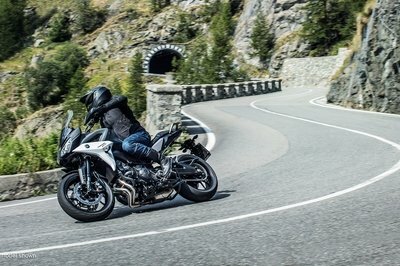 The stock bike also comes with two Riding Modes that deliver power on different curves. You can upgrade this function with Ride Modes Pro that adds two more engine-control profiles, to include a user-programmable one, and a lean-angle sensing, Dynamic Traction Control. Included in the Ride Modes Pro from 2017 is corner-optimized ABS in the form of 5AC ABS. This system cranks out a decent 57 mpg at 55 mph, which is respectable to be sure, but the 12.5-to-1 compression ratio sets you up for premium-gas pain. MSRP is just a tad more than last year. 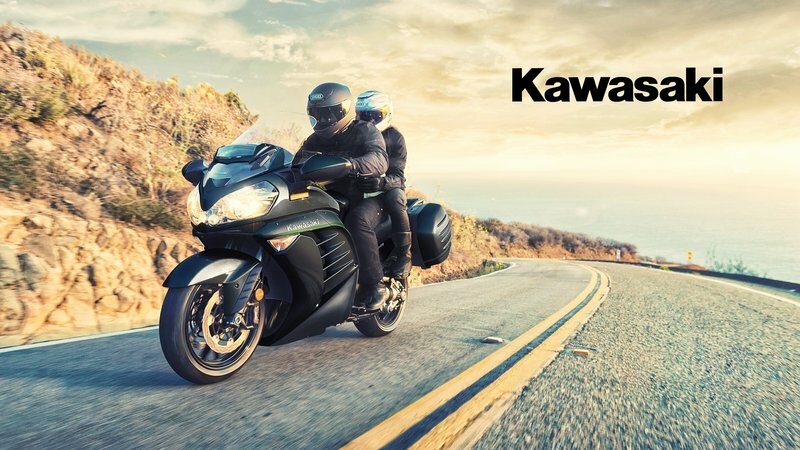 Both bikes run six-speed transmissions and shaft drives, but the Kawi lacks the quiet helical gears that the Beemer sports. Given the sport-tastic looks and power delivery, I knew I’d need something other than an American tour bike for my head-to-head, and the Concours 14 ABS from Kawsaki fit the bill nicely. Although a bit more full-paneled with an almost futuristic panache, the Concours falls into the same sport-tour mold as the Beemer, more or less. One notable difference would be the hard bags that come stock on the Concours and leave it the more tour-worthy of the two right off the floor. Kawi wins out a bit in the displacement department with a 1,352 cc engine versus the 1,170 cc Beemer plant. 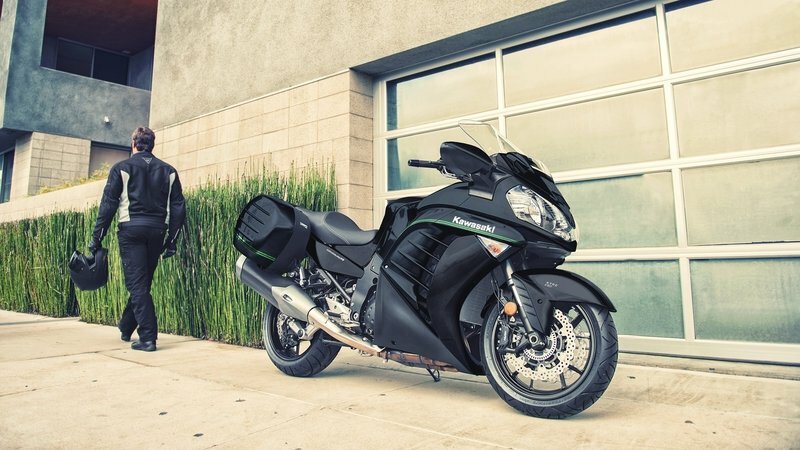 Predictably, the Kawi’s power figures bear this out with 153 horsepower and 100 pounds of grunt against the Beemer’s 125 ponies and 92 pounds. 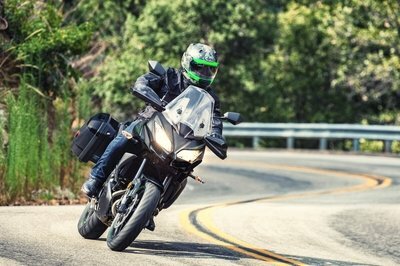 Both bikes run six-speed transmissions and shaft drives, but the Kawi lacks the quiet helical gears that the Beemer sports. Unlike the Beemer, the Concours comes with adjustable front forks, but Kawi has nothing to compare to BMW’s electronic suspension. ABS is present across the board, as are big, dual front brakes and larger-than-normal rear discs. 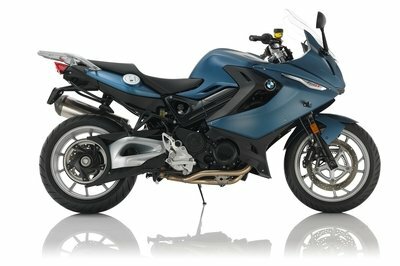 The stock R 1200 RS rolls for $15,245, a bit less expensive than the stock Concours at $15,599. Sure, the price is just barely more expensive, but the adjustable front end is a nice feature, and certainly hurts the checkbook less than the premium BMW package. My wife and fellow motorcycle writer, Allyn Hinton, says, "I have to agree with my husband on the baggage thing. 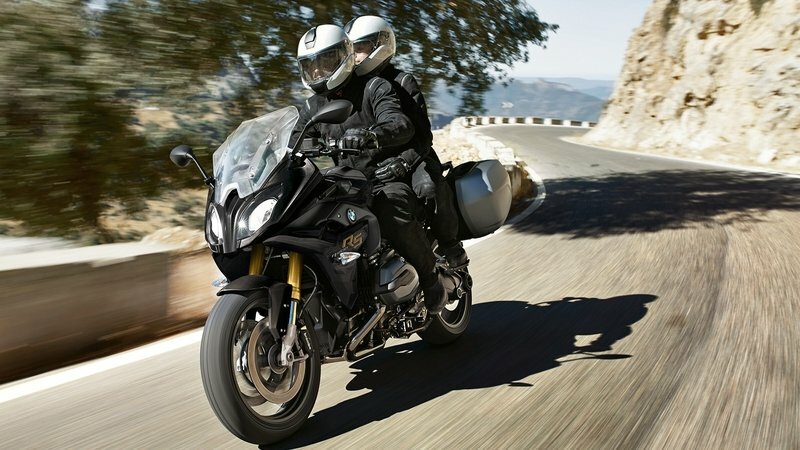 Calling a bike a "tourer" in the U.S. market implies there is storage, but I guess if you’re serious about touring, you might instead be looking at the R 1200 RT that comes with bags. 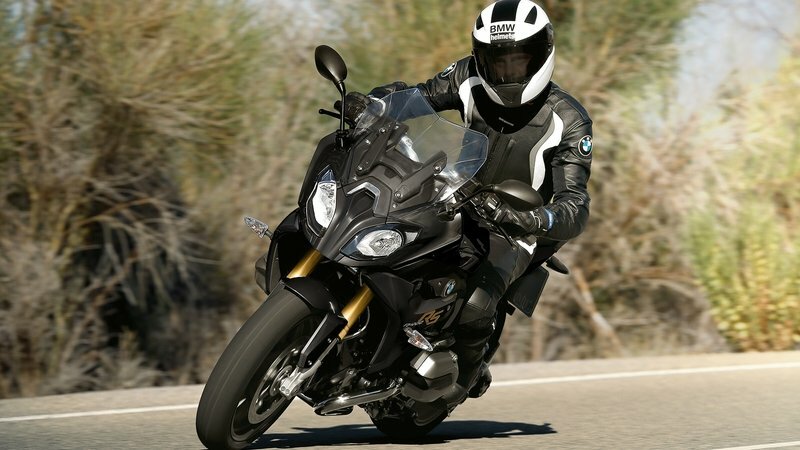 The R 1200 RS is in BMW’s sportbike category after-all. Still, as the reincarnation of BMW’s original sport-tourer, it’s a lightweight compared to the head-to-head pick of the Concours, and even though the power and torque numbers don’t look as impressive on paper, that boxer engine delivers all through the rev-range so it doesn’t disappoint." Wheel, front: 3.50 x 17"
Wheel, rear: 5.50 x 17"
See our review of the Kawasaki Concours 14.